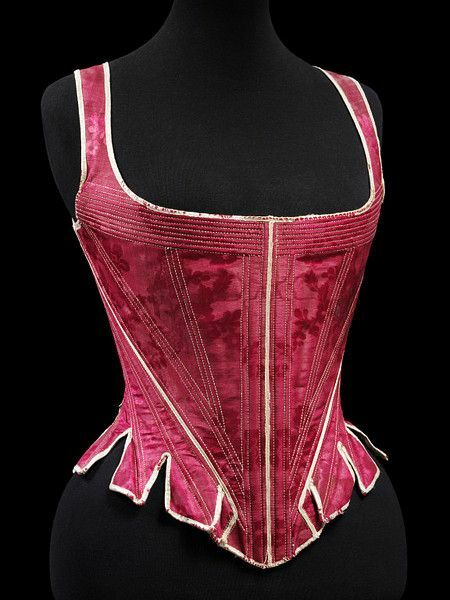 A bustle c. 1885 from the Los Angeles County Museum of Art (LACMA). 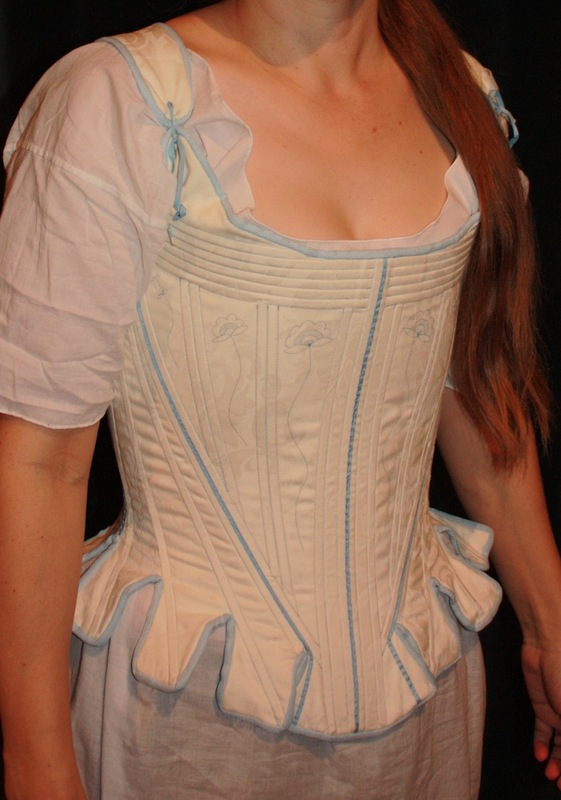 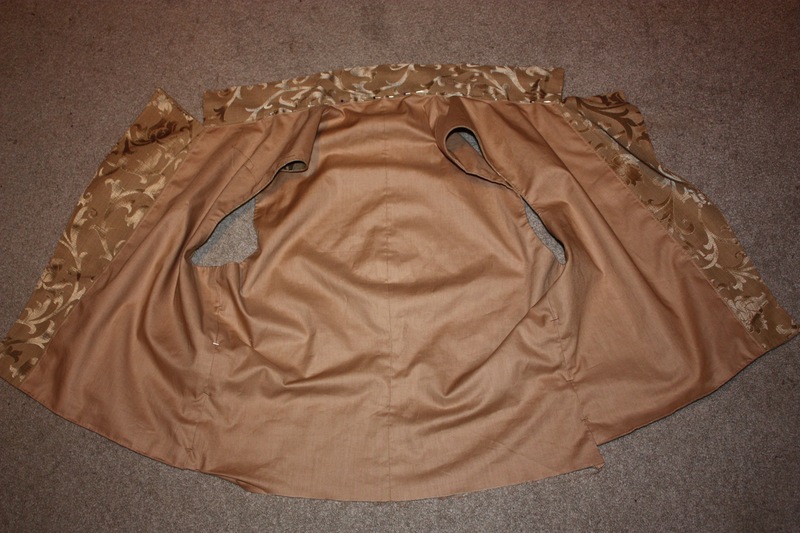 Today I am sharing with you one of my earliest costume pieces I have made; a Victorian bustle. 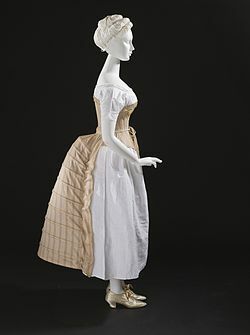 Bustles were used during the late nineteenth century, first developing from the crinoline during the late 1860’s. 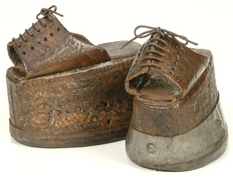 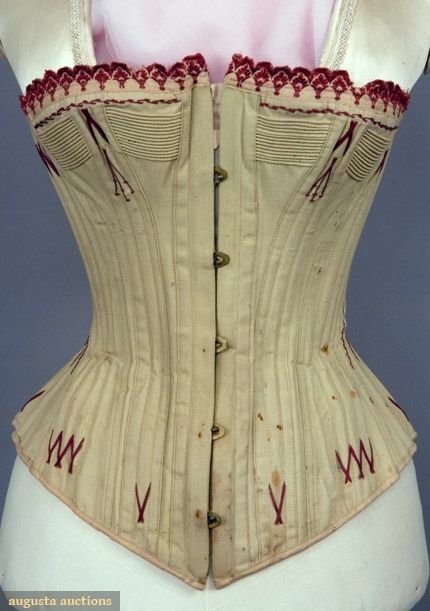 By the 1870’s and 80’s they were the height of fashion. 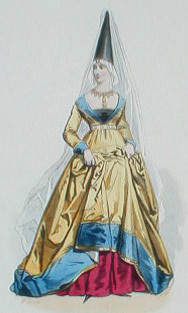 The bustle was primarily for increasing fullness at the tail and supporting the weight of the skirts which were draped there. 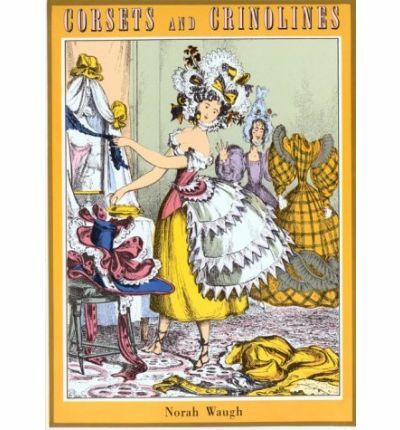 There were many caricatures of the time about the absurdity of the fashion, just as there had been about the wide skirts and the tall wigs of the eighteenth century. 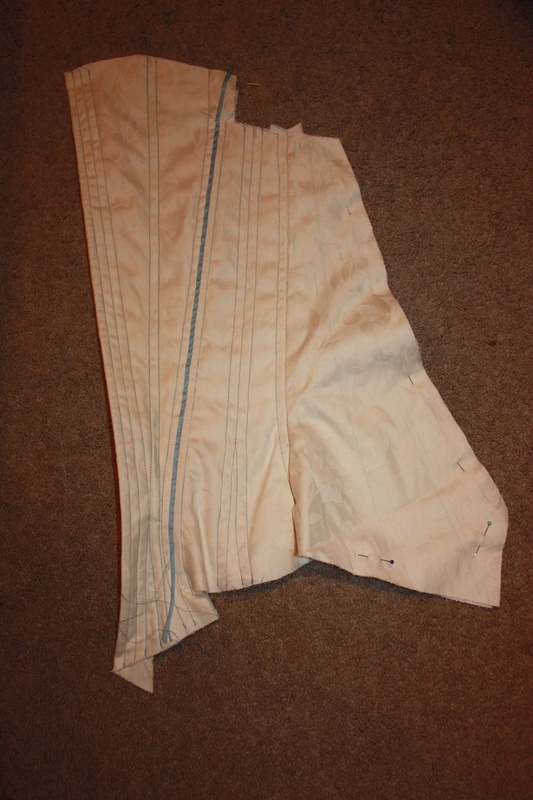 By the late 1890’s the skirts were changing shape yet again, to the more A-line shape of the Edwardian era. 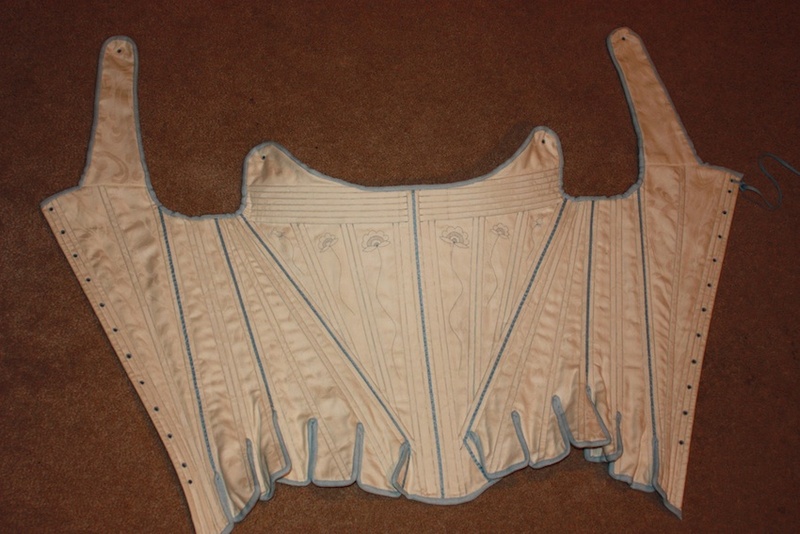 This particular bustle was copied from a picture I had found in Norah Waugh’s Corsets and Crinolines. 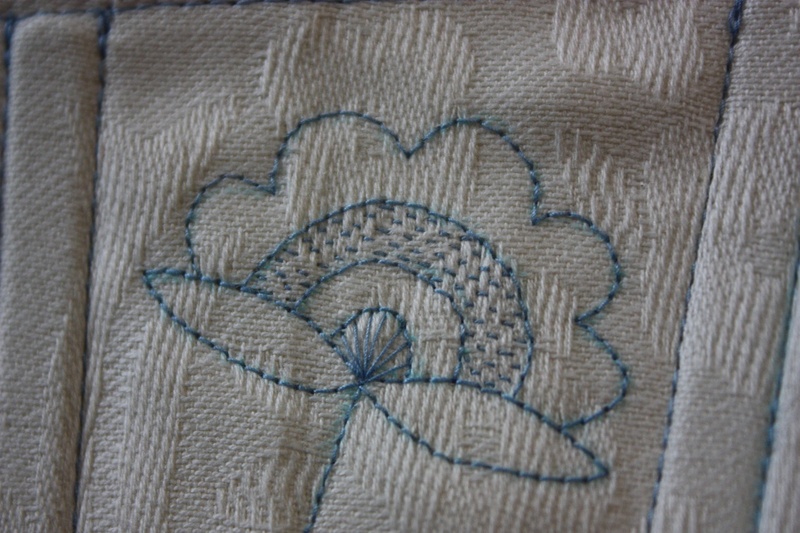 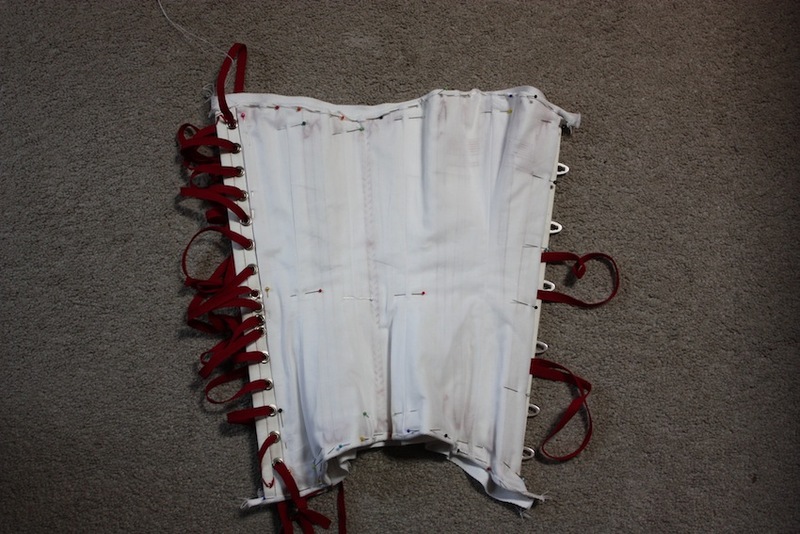 I used a combination of wire and boning to provide the shape, which was not ideal because the wire cut all the fabric after only a few wears. 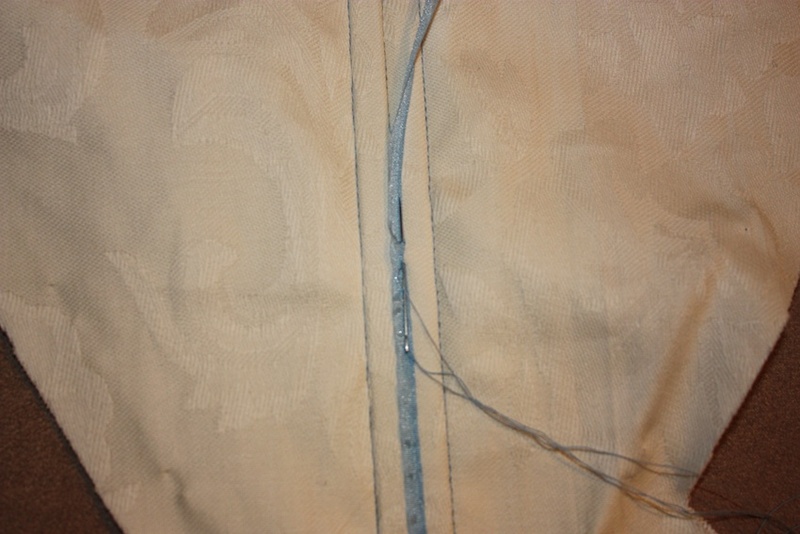 I plan to replace all the wire with thin solid plastic boning at some stage. 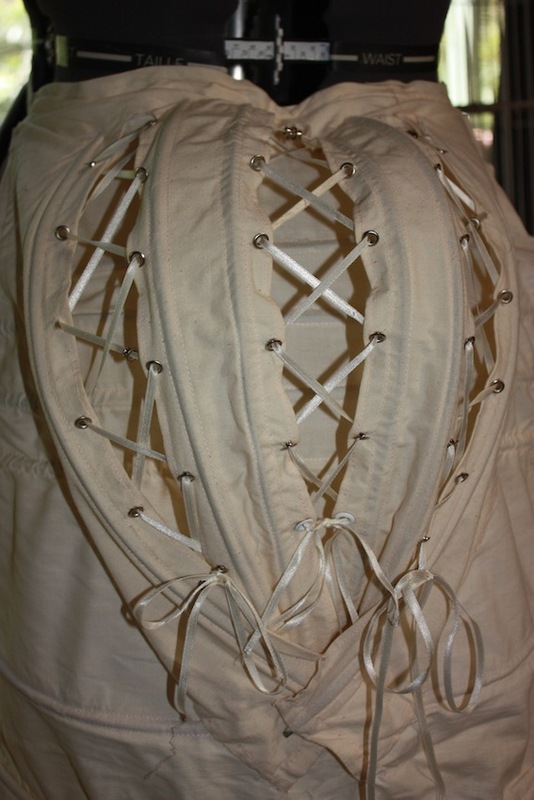 The back of the bustle has a sort of “cage” to strengthen it and allow for adjustment. 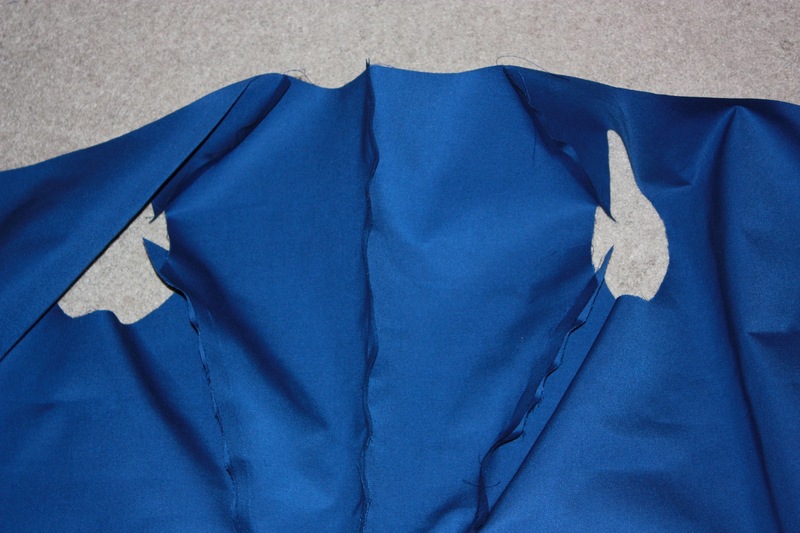 It is surprising how much weight in the form of a dress it will support. 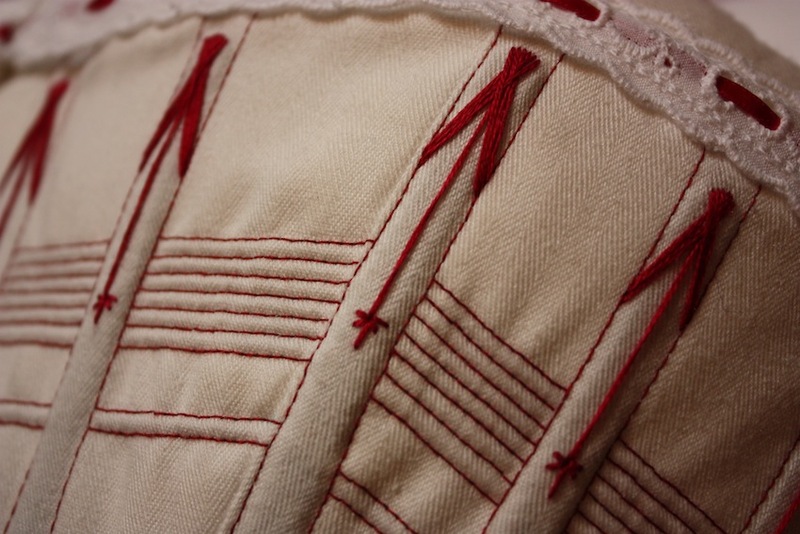 The ‘cage’ of the bustle, laced together with ribbon. 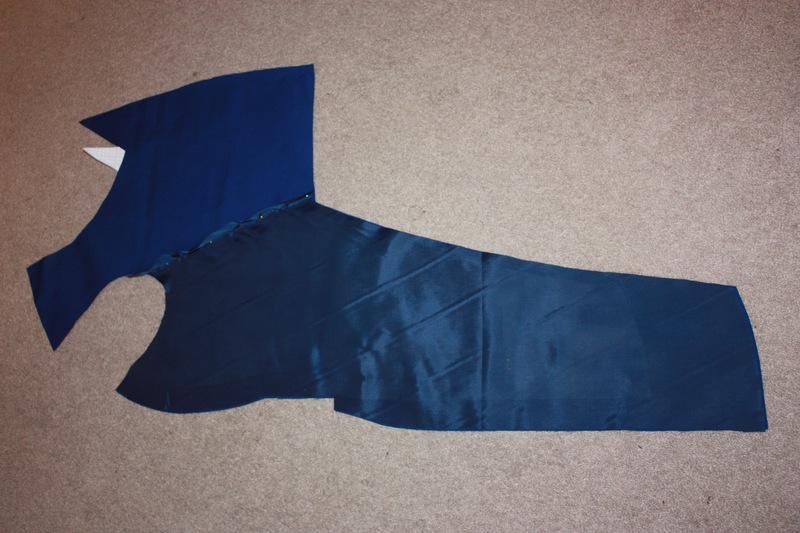 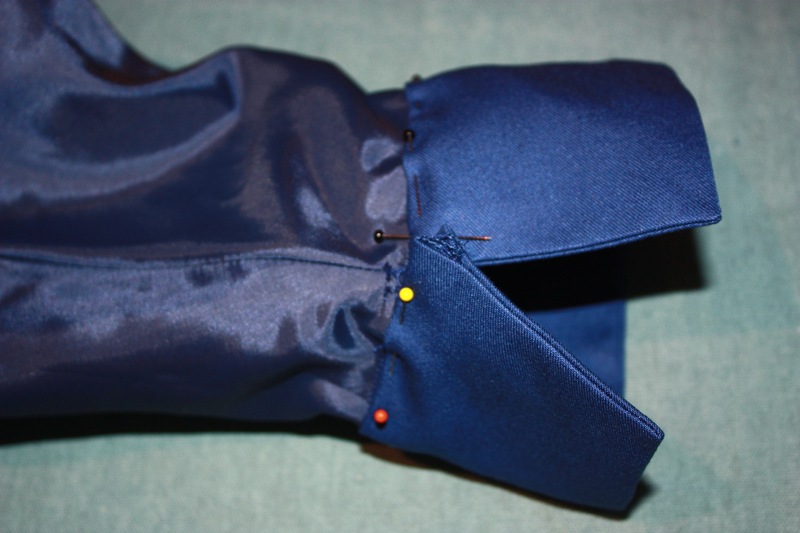 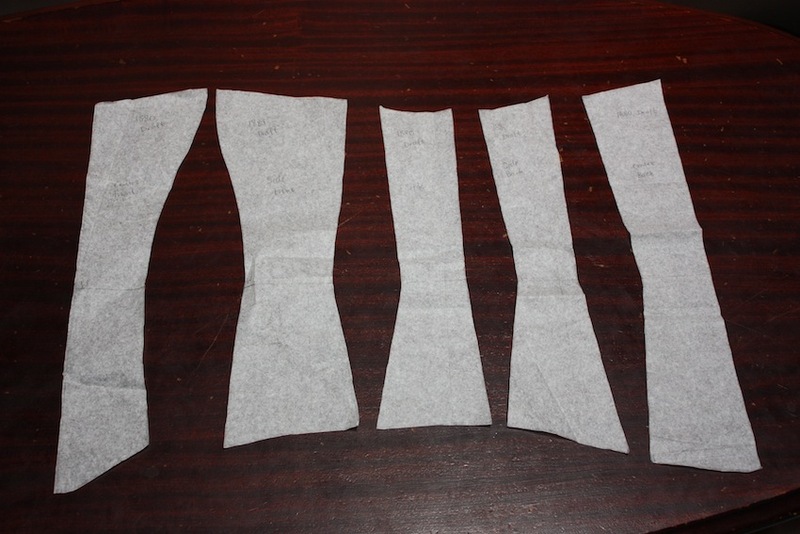 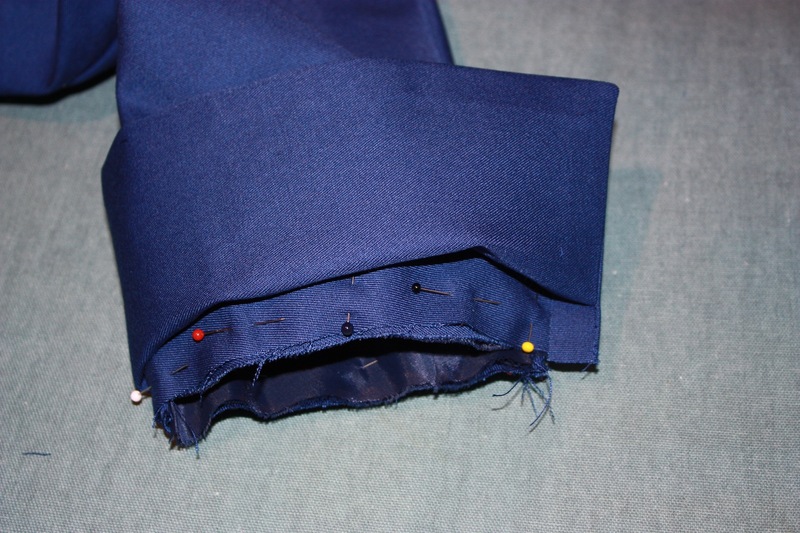 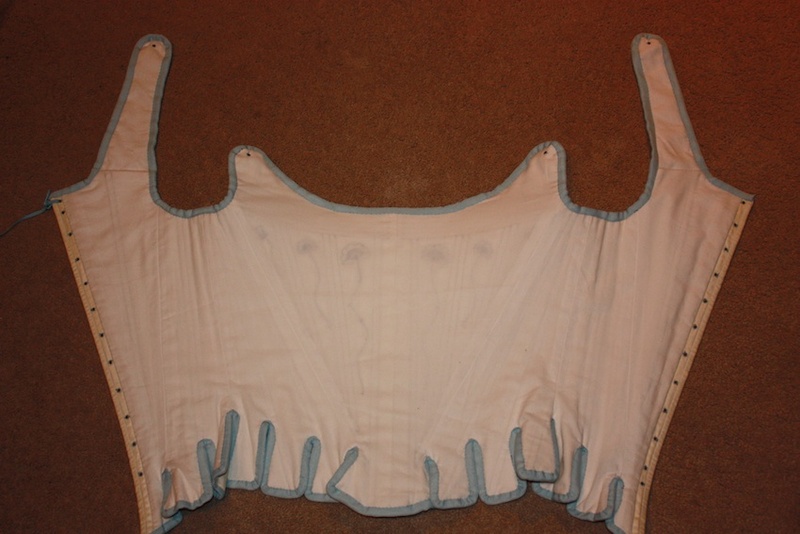 A bustle is a fairly easy foundation garment to make without the need for a pattern or instructions. 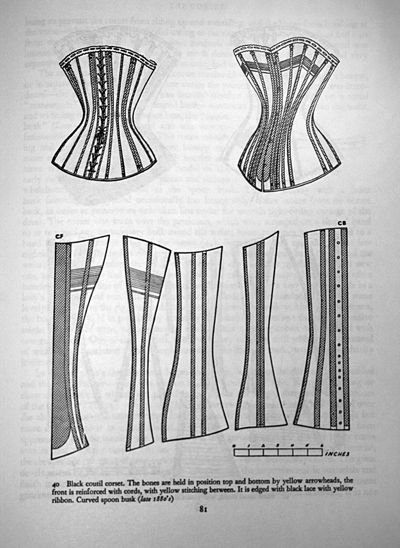 Whilst there are many different sorts of bustles, mine was essentially a tube of material. 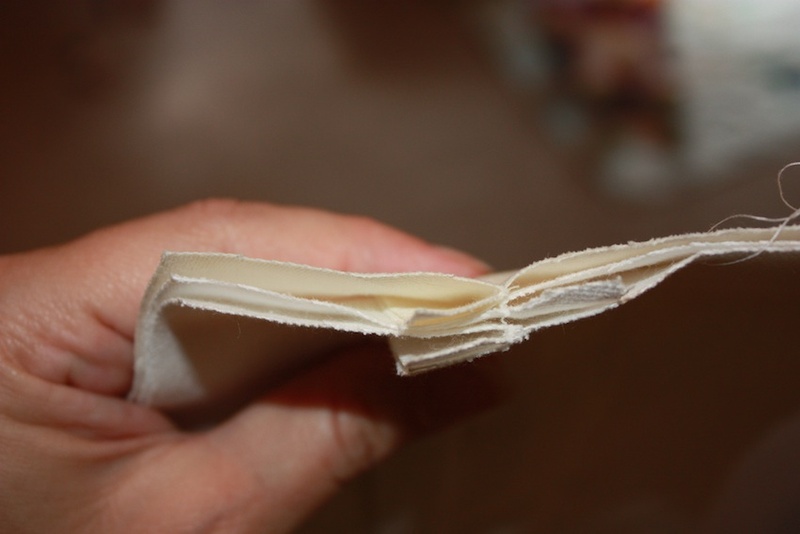 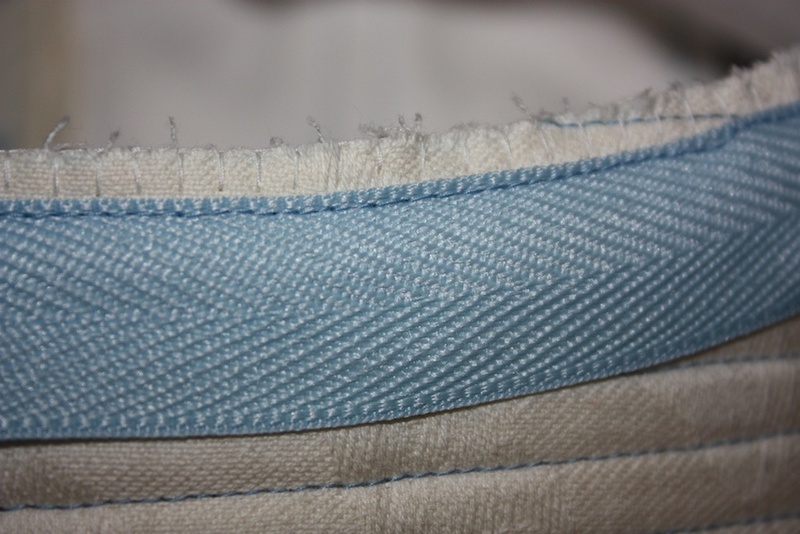 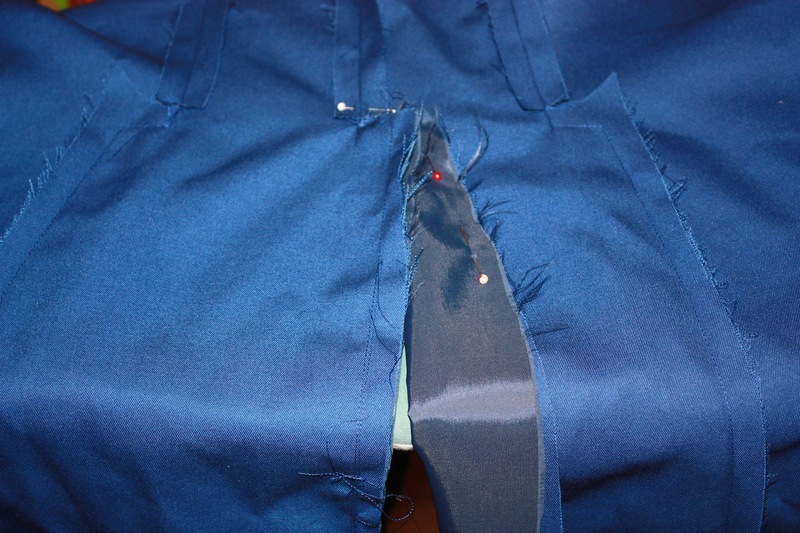 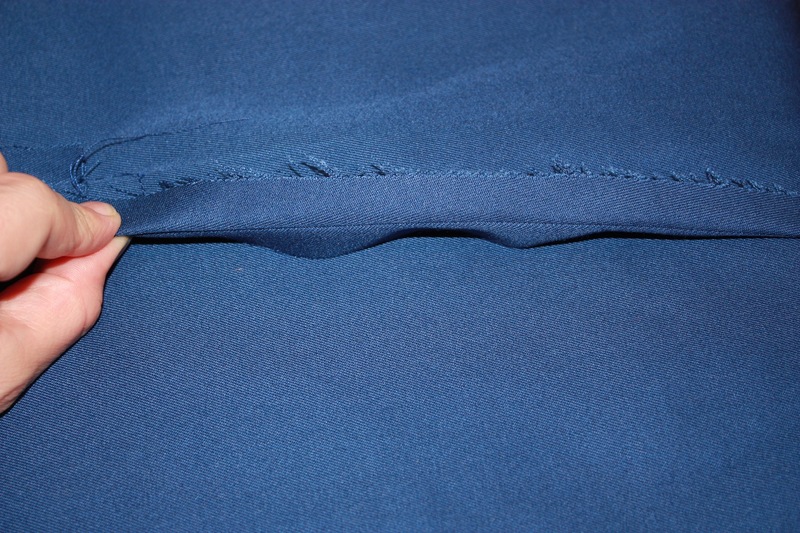 There is a thinner panel of material that runs from the waist to the ankle and rests against the legs. 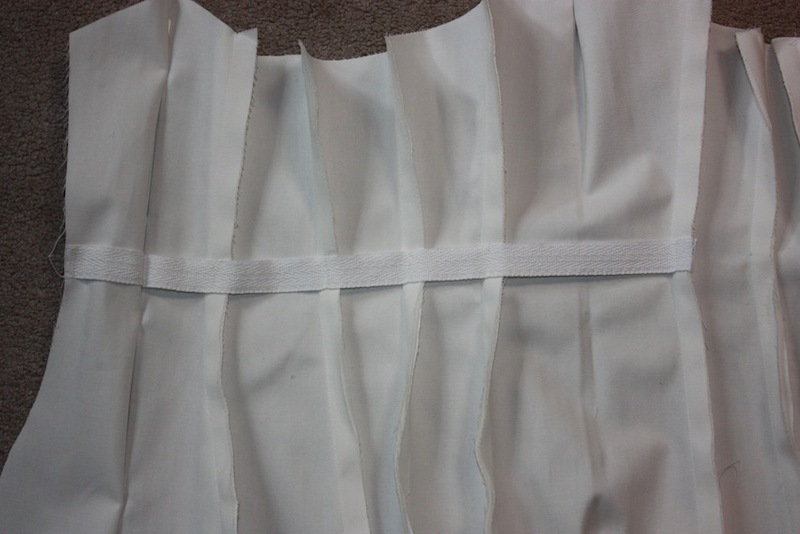 The second panel is the same length but wider and boned to make it bow out, making the bustle-shape. 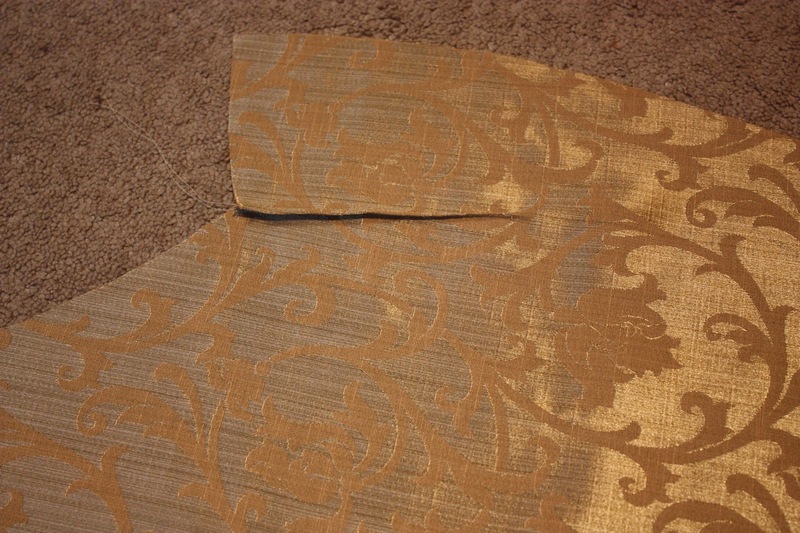 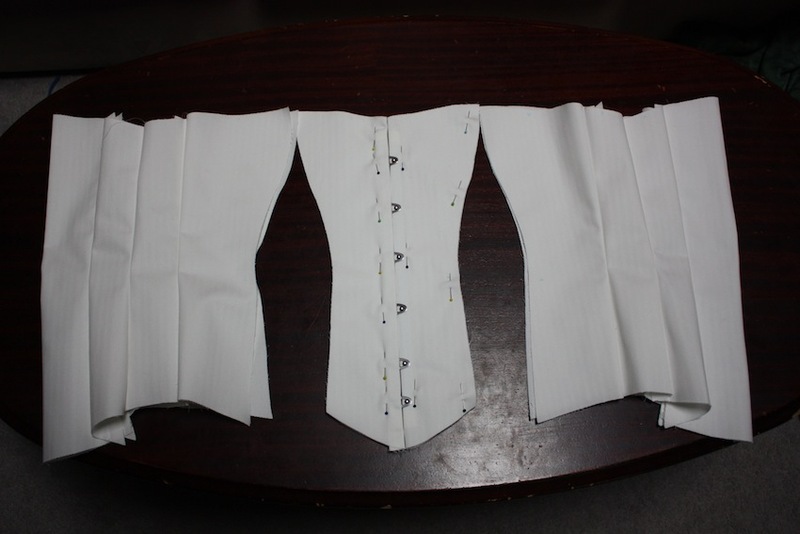 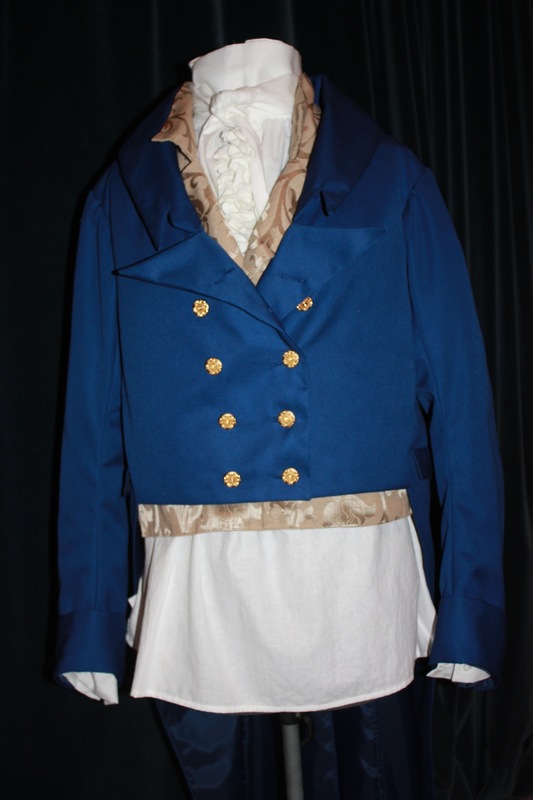 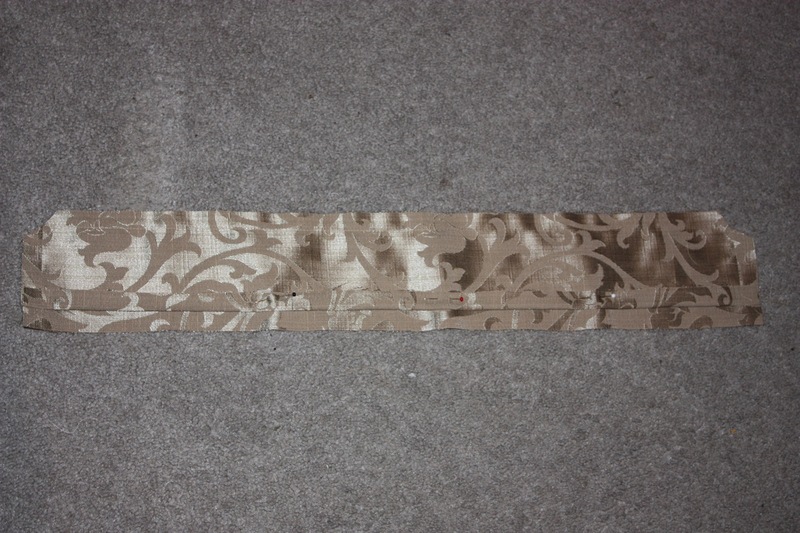 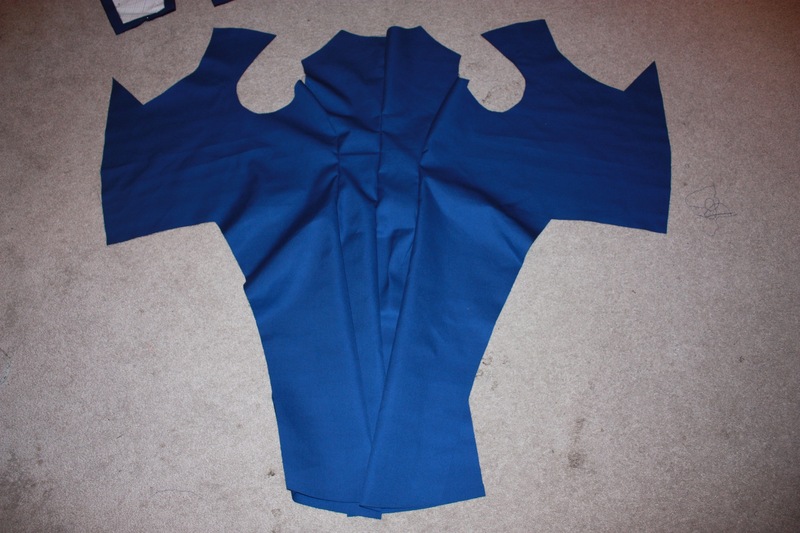 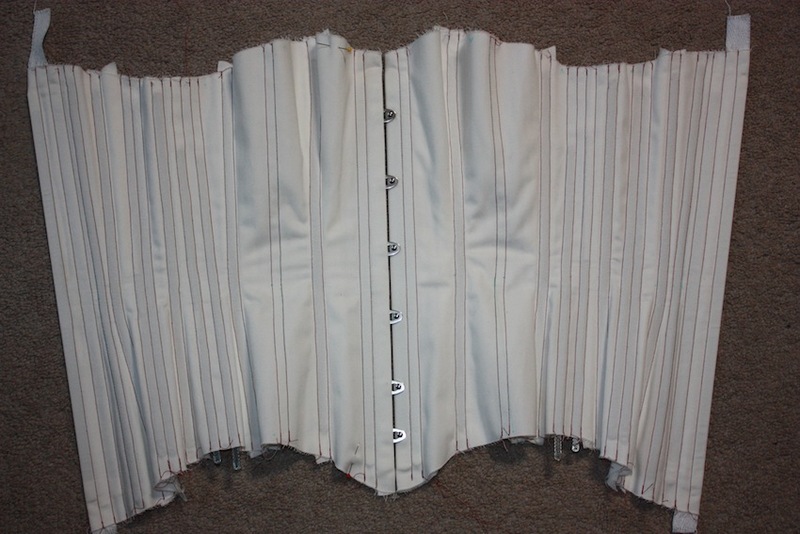 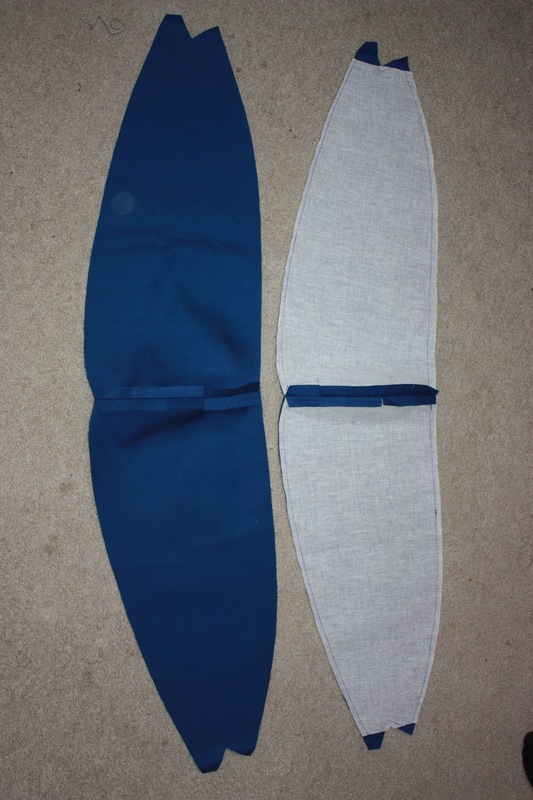 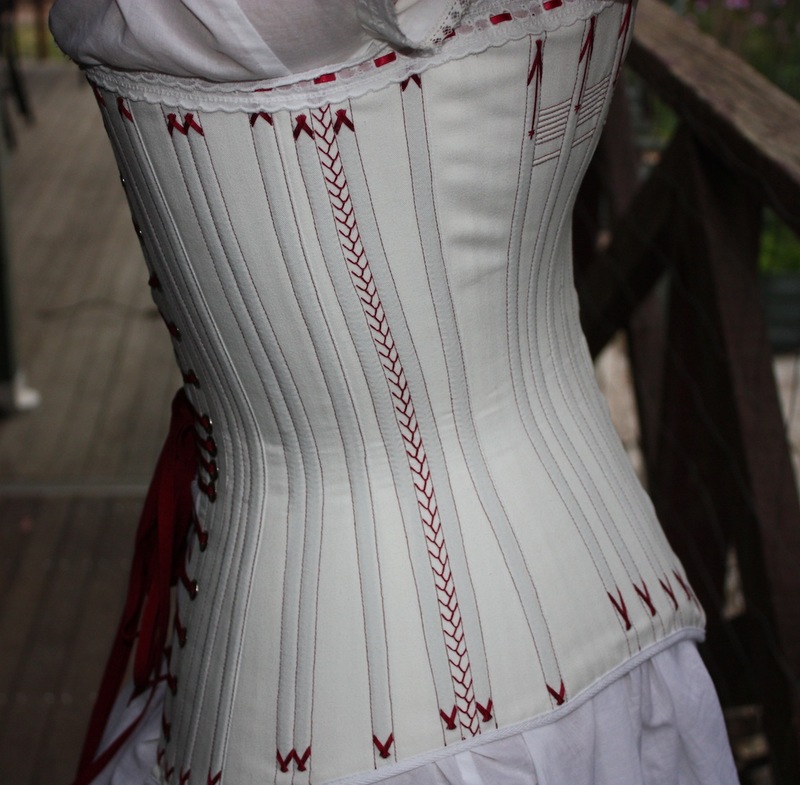 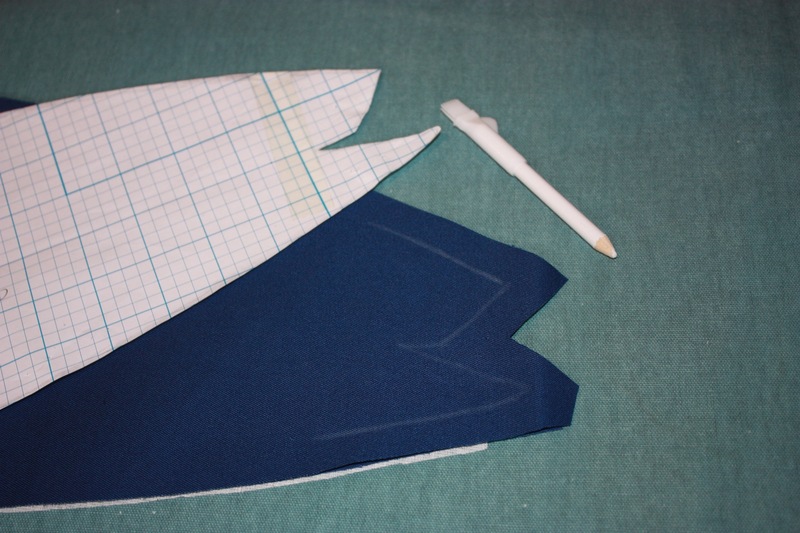 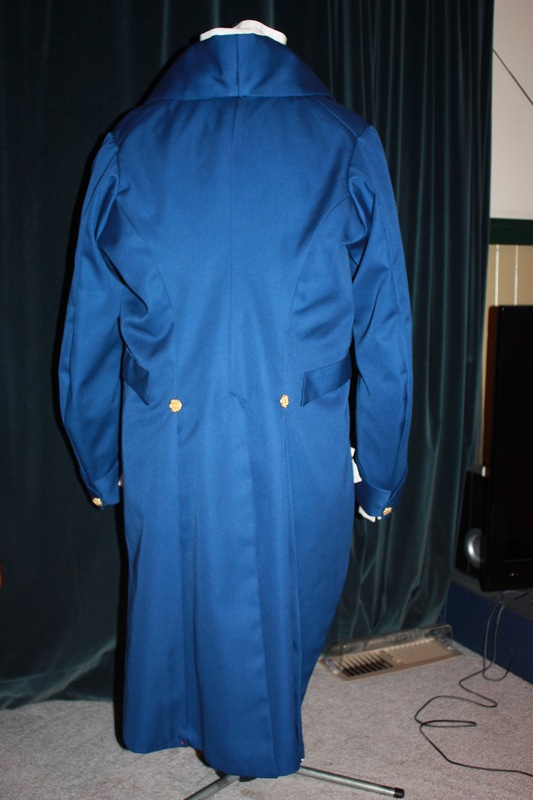 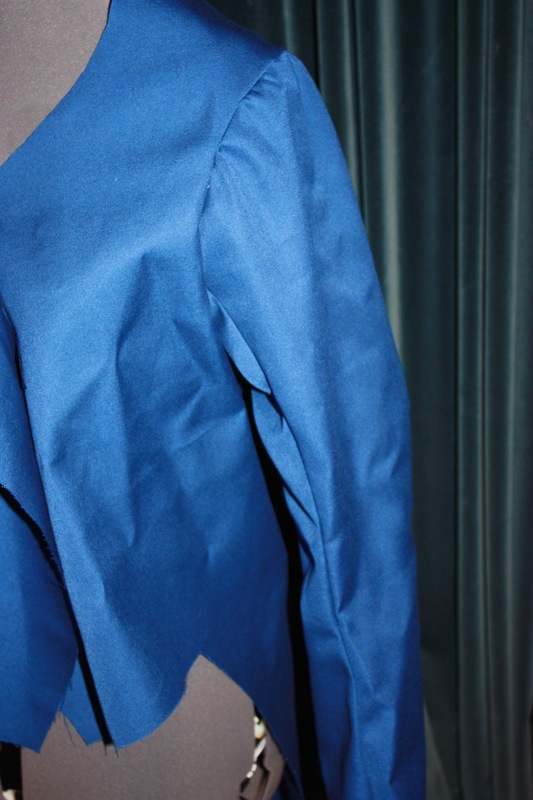 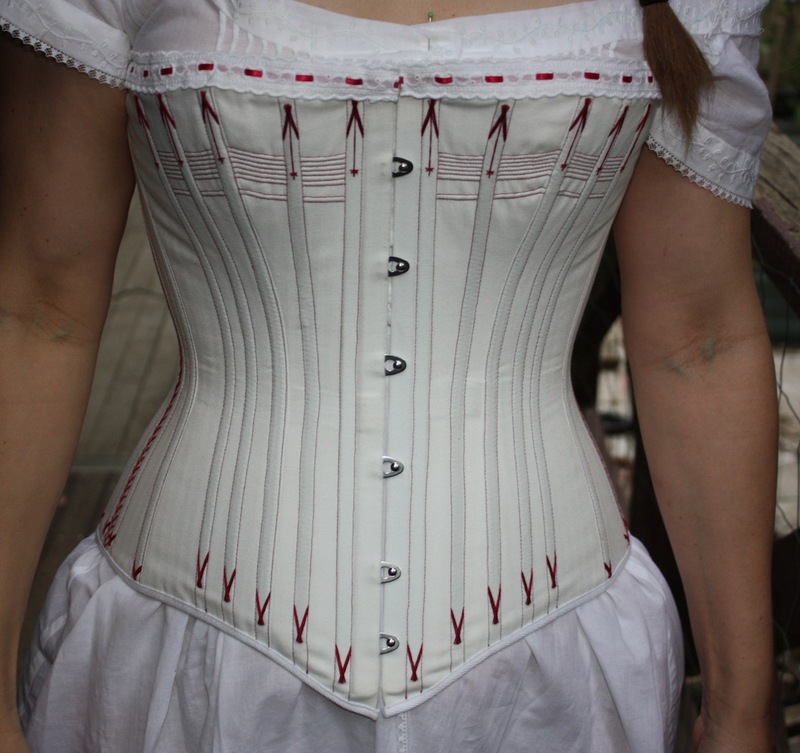 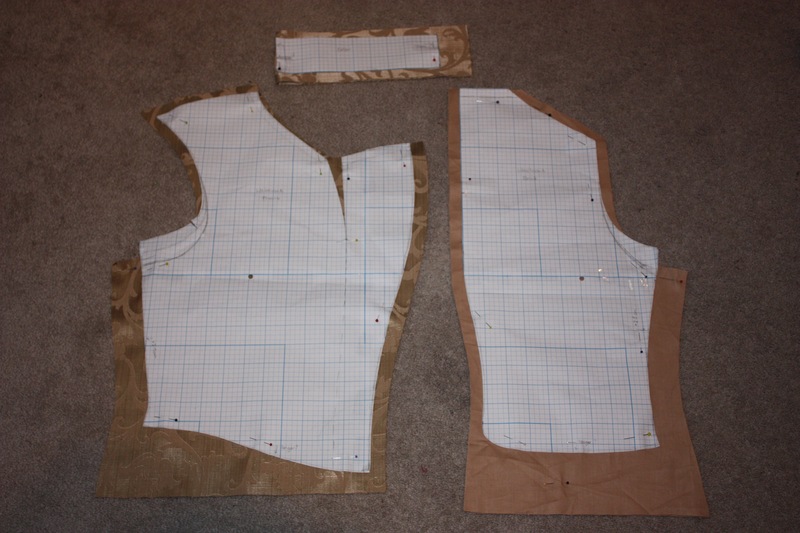 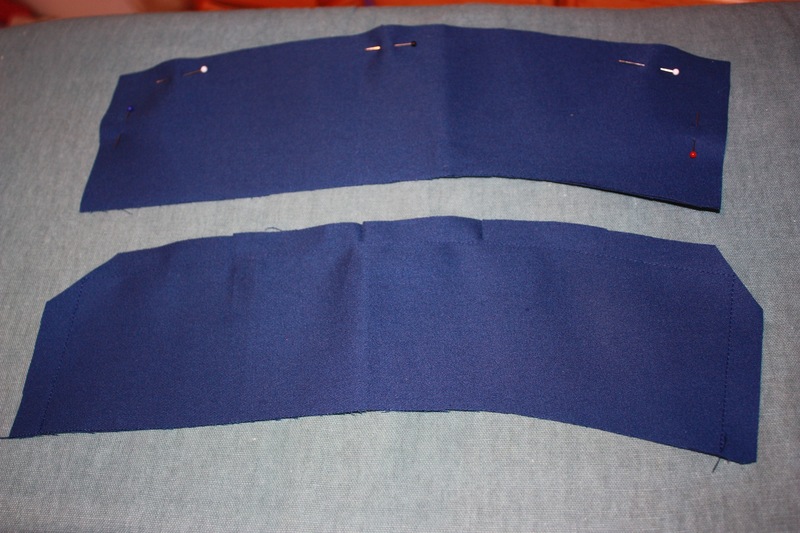 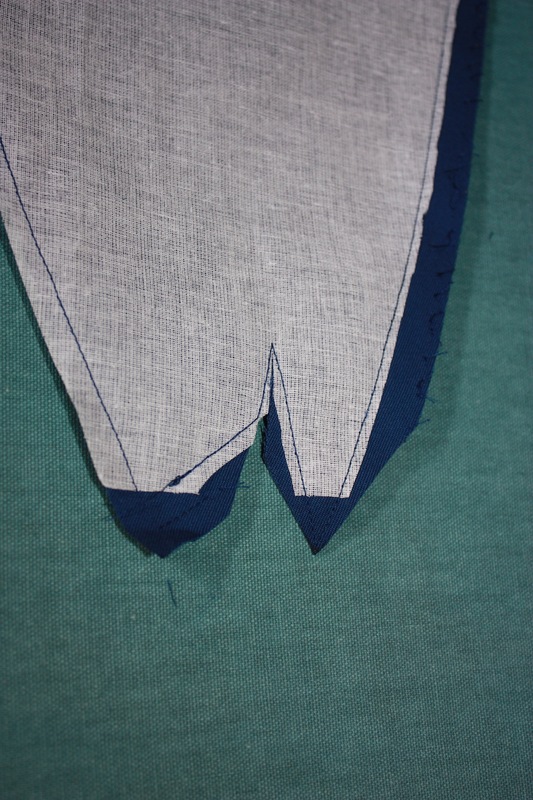 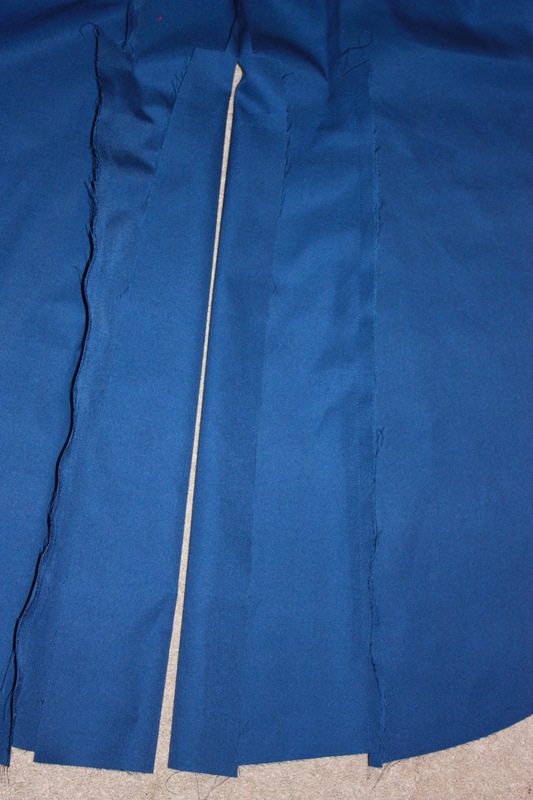 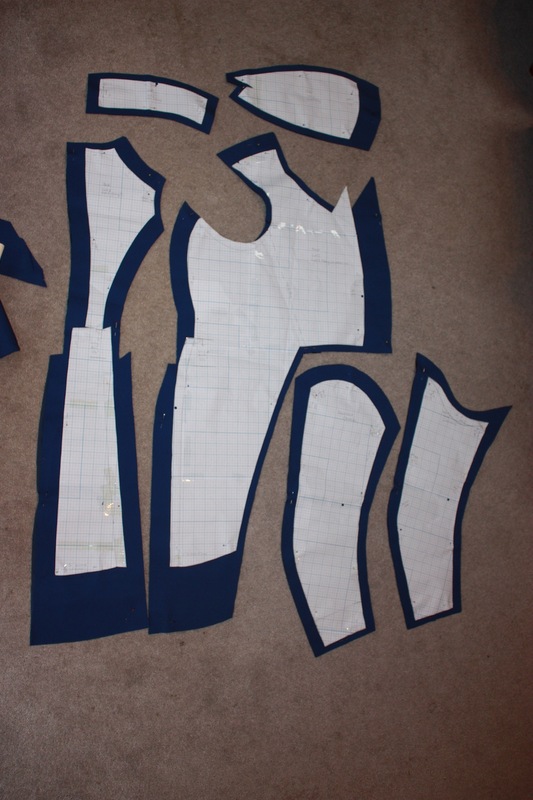 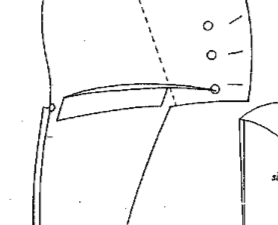 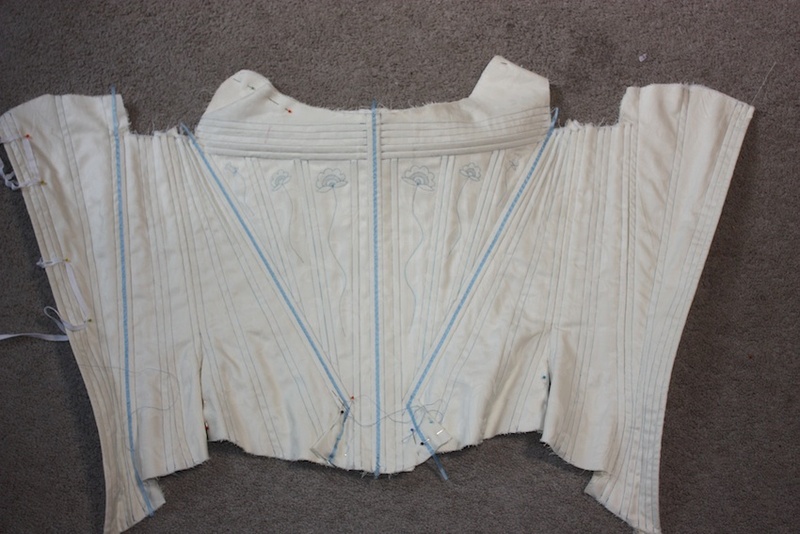 The two panels are attached at the top with a waistband or tie of some description to hold it around the waist. 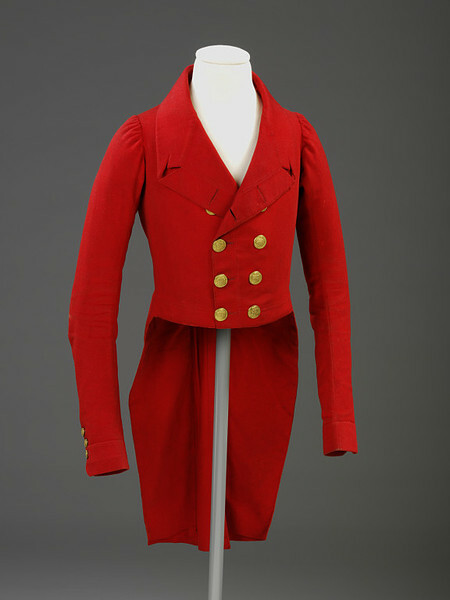 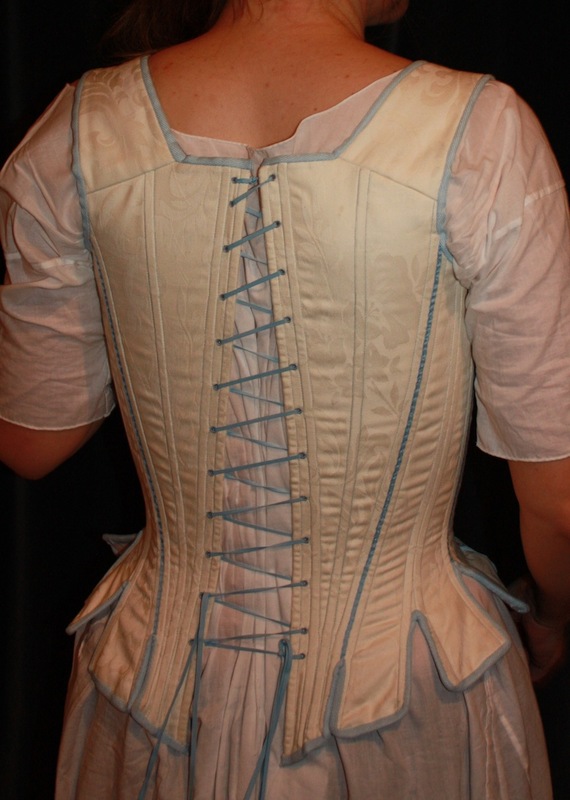 A ‘cage’ or some frills or even padding can be added if desired in order to increase the proportions of the back. 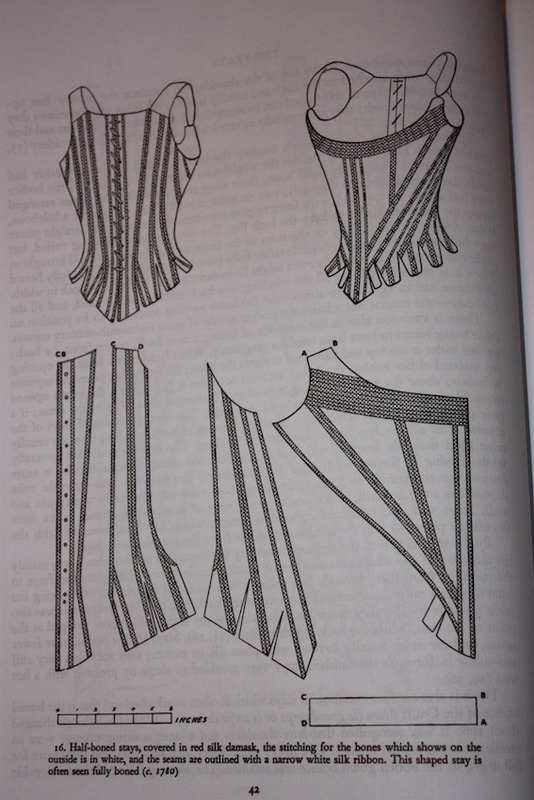 I am keen to begin expanding my Victorian wardrobe, so stay tuned for more costuming posts as I begin sewing some articles from this particular era. 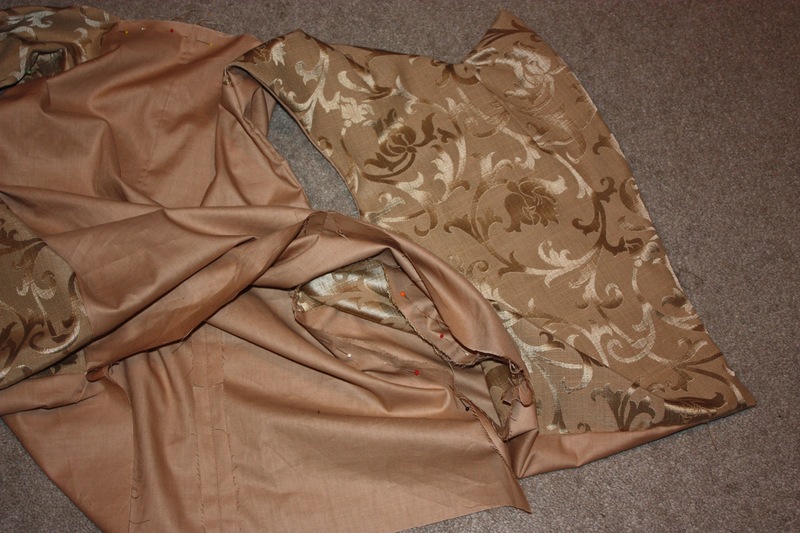 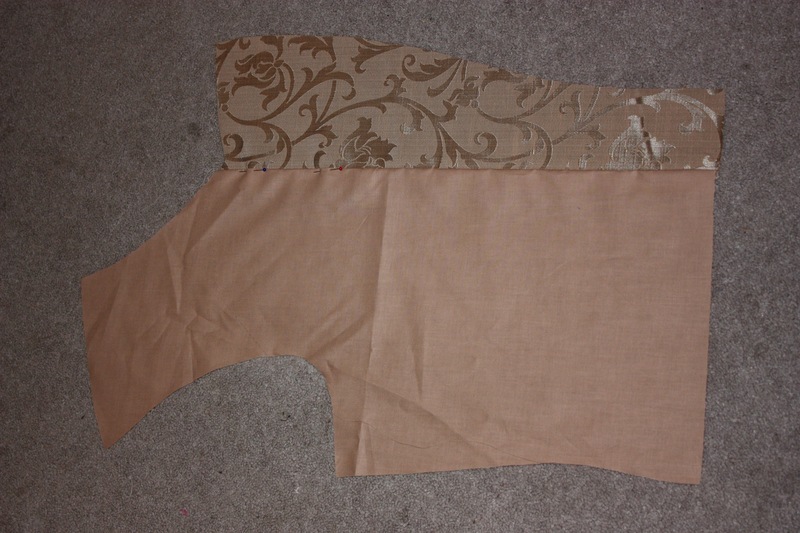 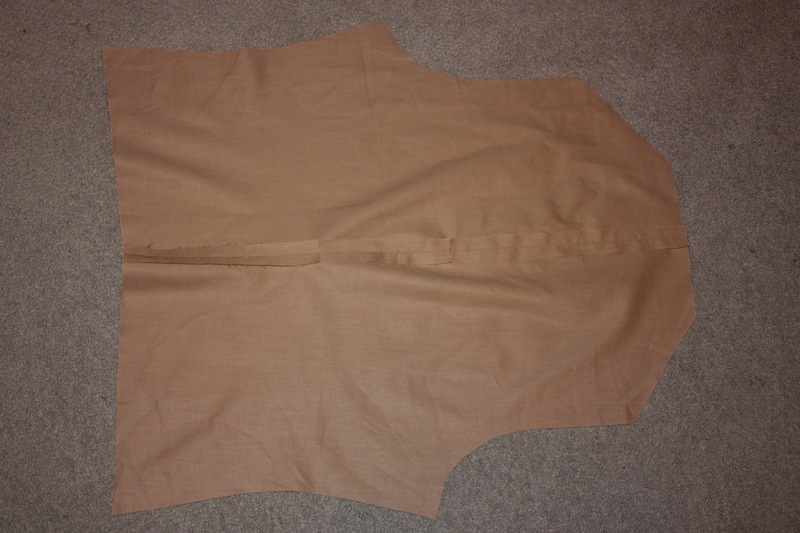 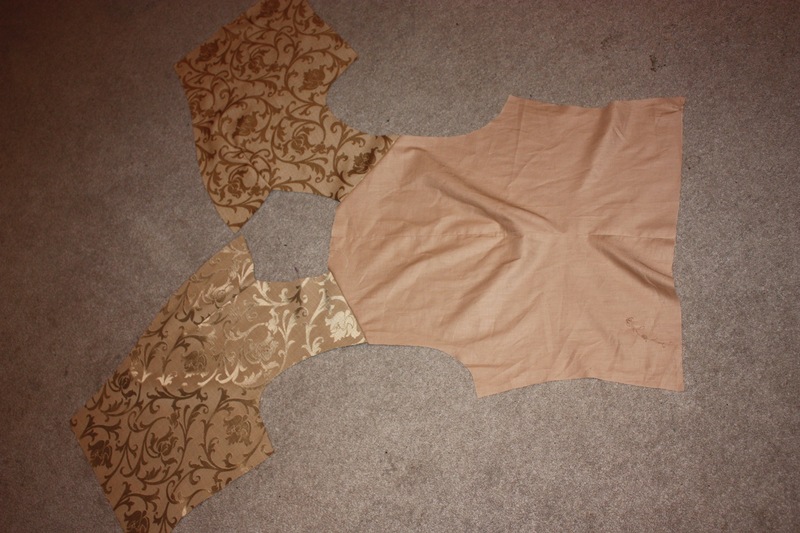 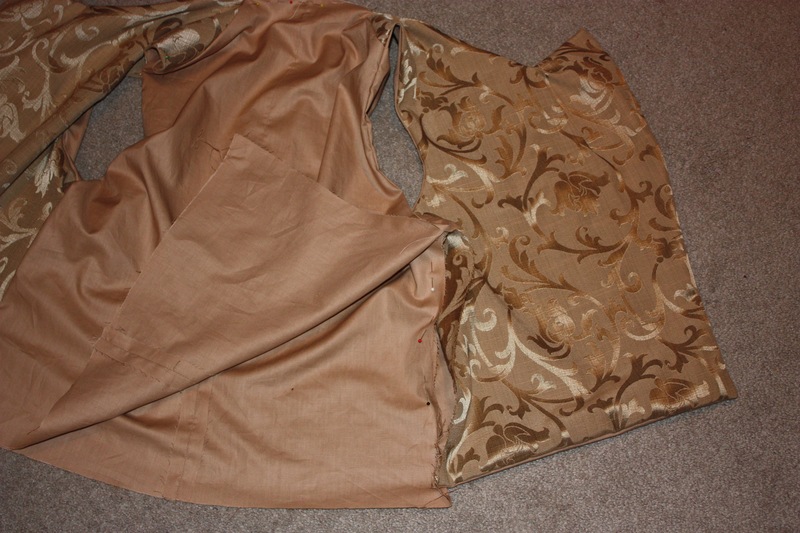 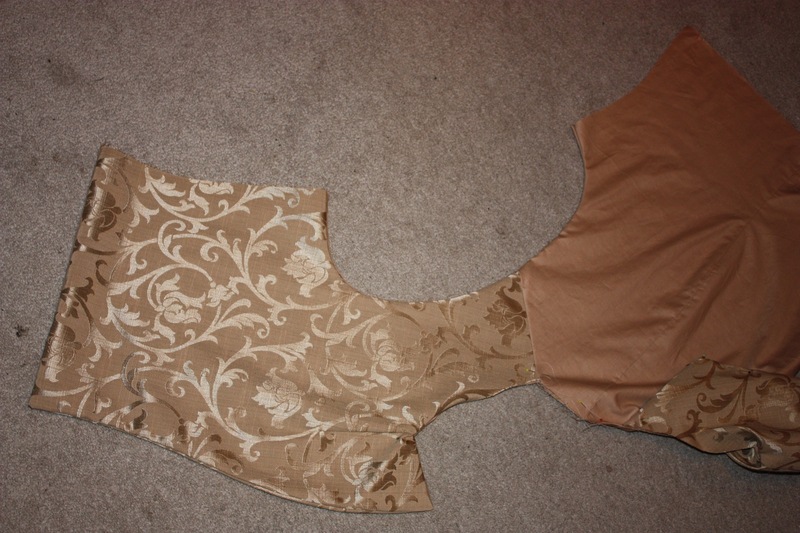 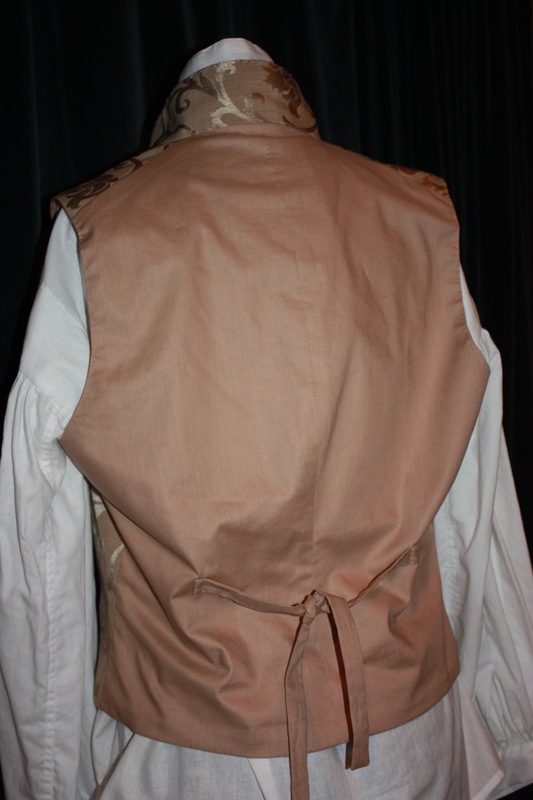 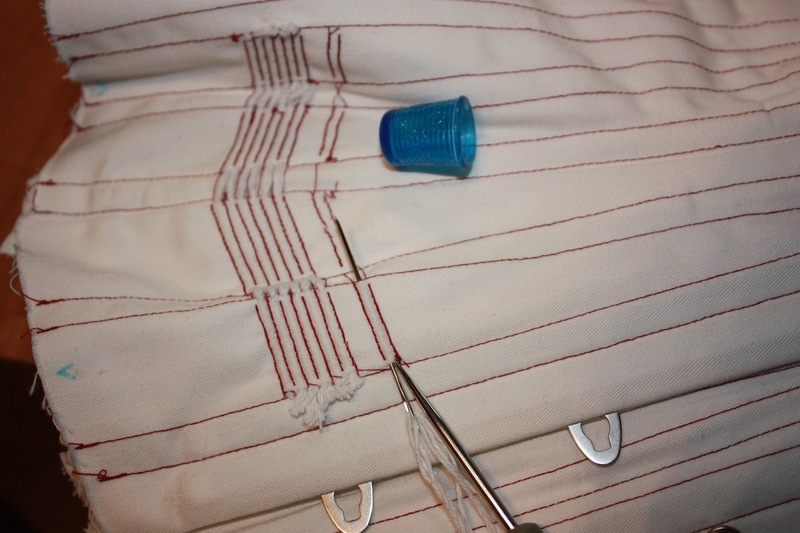 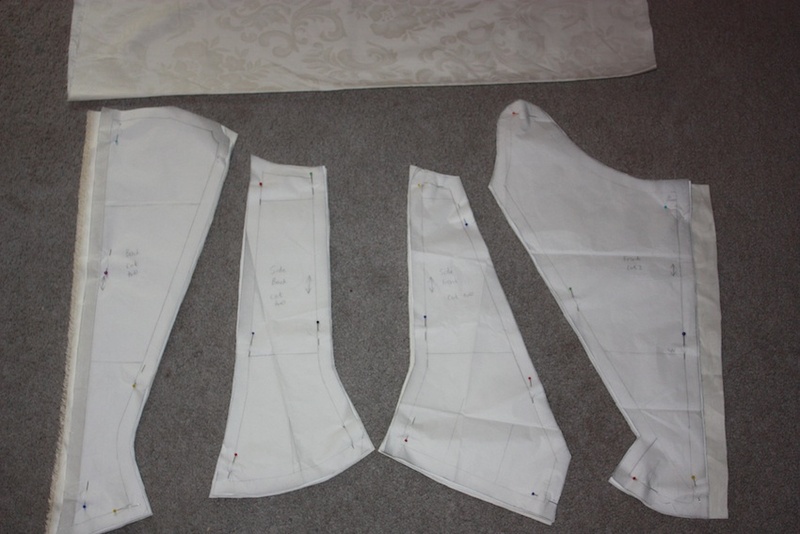 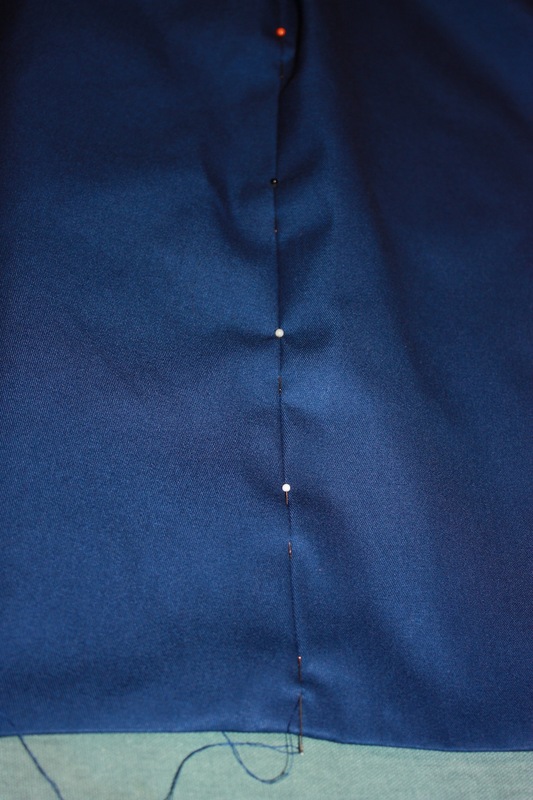 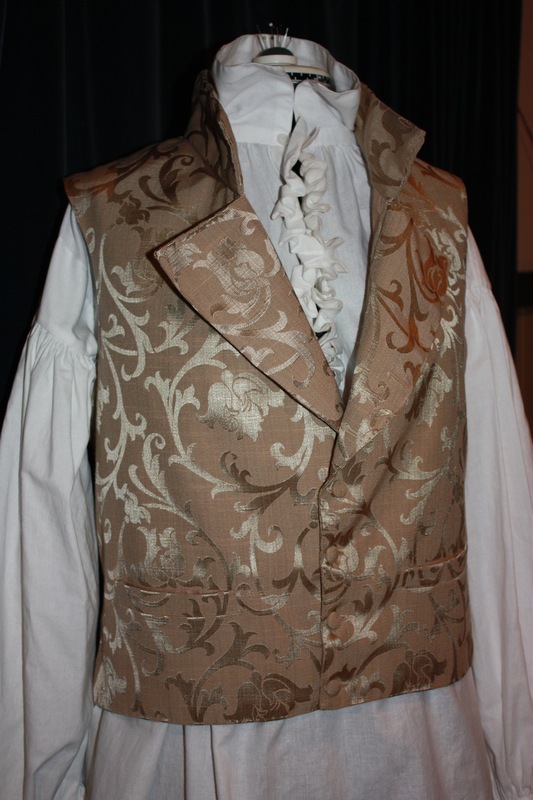 Panniers: An 18th century reproduction of a Sacque-back dress – another one of my very early costuming efforts.